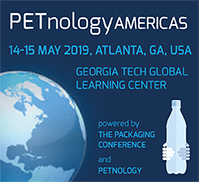 Our mission is to understand the entire polyester (and PET) industry stream - from raw material feedstocks, to PET resin, to containers, to recycling - in all key global markets. The principals at SBAcci, Inc. have served this industry for a combined total of well over 100 years with specific experience in PET value chain dating back to 1961 and PET packaging since 1977. Full-time monitoring and analysis of the supply/demand issues of this industry have been ongoing for more than 30 years. We have built huge databases which are at the heart of the vast quantities of information we provide. While you are running your business, we focus 100% of our time and energy on developing new insights and analyses that will benefit you. Access to our consulting services (via website, phone, fax, email) between formal meetings for modeling, analysis, and consultation. 12917 Hunt Club Road N.
SBAcci is the provider of web-based virtual technical models and provides access for M-RULE™ permeation calculations by Container Science, Inc.
© Copyright 2003-2019 SBA-CCI, Inc.